** Book received for review. All thoughts are my own. Earlier this year, I read and shared a fantastic book called The Case For Grace. In this book, Lee Strobel too a deeper look into the grace God has given each of us. With his investigative style of writing, this could have been named 'A Skeptic's Guide To Grace'. He didn't just quote the Bible verses on the subject and tell us to believe because the Bible says so. That's not going to convince anyone, is it? No. Instead, he shares stories of those he's interviewed on the topic and even his own story as a former skeptic himself. I instantly fell in love with his style of writing. So often, people DO assume that Christians just take it all on blind faith but this book made a convincing argument that there really was something to it all. It was a truly great book and one that I will recommend to anyone that asks. So, when I heard about Lee's new book The Case for Hope, I couldn't wait to dive in. Let's be honest, most of us have had those moments where it seems the bad things are just never going to to end. We know in our heads that eventually there will be a light at the end of the tunnel, but the tunnel just seems to be never-ending. When you lose hope, those bad situations can quickly go from bad to worse. We have to remain hopeful to make it through. But what is hope exactly? Is it just wishful thinking that things will get better? That things will go our way? 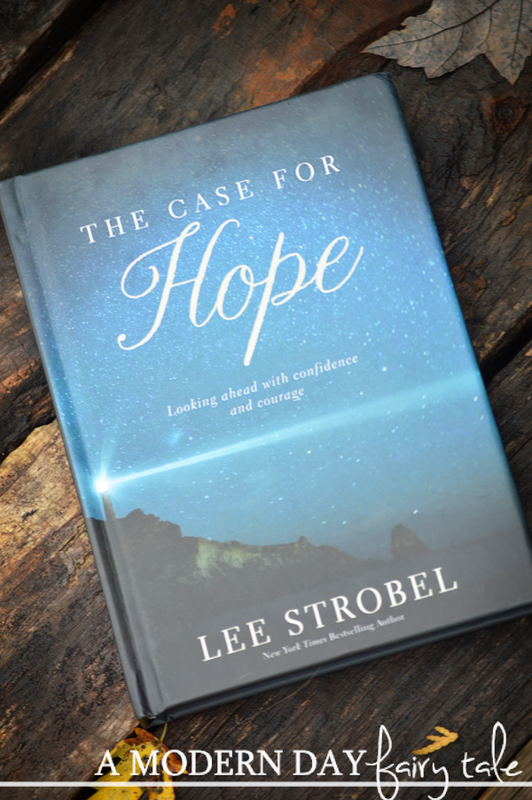 In the book, Lee Strobel takes a look at just what it means to have biblical hope- to be confident in the promises that God has made us. Now, as I said, I really loved the investigative style of his previous books and looked forward to more of the same in this one, I must say that it was not quite as in depth as expected. It was still a great and insightful read, but if you're reading expecting to read a ton of interviews and a ton of investigative research, you may be let down a bit. But don't let that keep you from giving it a chance. It may be different than his previous works, but it's a fairly short read and worth the time! It is more of a gift book than a more in depth read, but is perfect for anyone who is new in their faith, or who just needs a little extra encouragement! The thing that I love most about this book is the hope journal at the end. 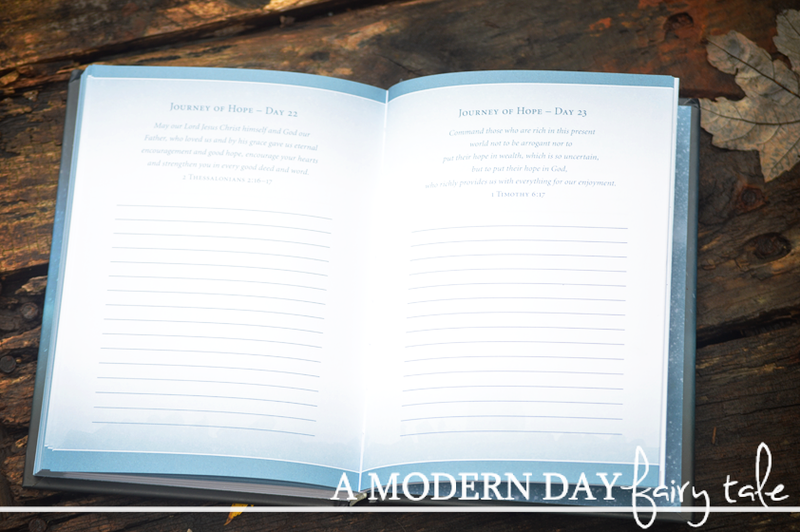 This space offers verses to reflect upon for 30 days, with space to write your thoughts on the subject. This gives readers the chance to not just read about the subject, but to truly dig deeper themselves and journal THEIR thoughts too...again, making it the perfect gift for those needing a little more hope in their lives. The Case for Hope is available to purchase now at Family Christian. I like their Today Is Going to Be a Great Day! Coloring Book for Adults. I want to get an adult coloring book. I love their toy selection!! hey have so many Veggie Tales toys that my son just loves!! When I read this book, I thought that was one of the best things I've ever readand wondered how people can write such amazing things not using internet, but their imagination. Because in every situation when I have to write something, like to write my speech, I use writing service. So, they're brilliant.